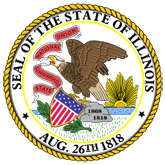 Illinois Department of Revenue 2005 Schedule 1200-D Instructions is income tax credits (for corporations and fiduciaries). 1. 2005 Schedule 1299-D Instructions (20070124184851_il1299d.pdf).